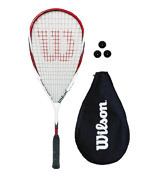 If your intentions are to play squash more actively and increase your skills, definitely buy an advanced gear. 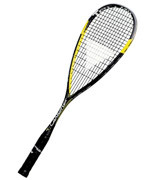 These racquets will last longer and also provide much better qualities. 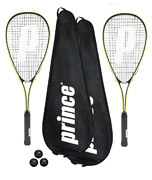 I have chosen also some cheap racquets or sets for the entry level of players. These are of course not meant to last many years but rather to give you an overview what to expect from a squash racket – what weight do you prefer, if you are comfortable with the material and balance etc. 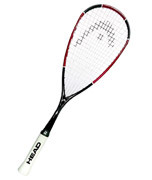 Choosing the right squash racket for you can be a difficult task. When I started playing I had absolutely no idea where to begin. Which one to select? 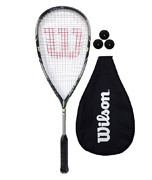 Save the money and buy a cheap one or invest into some more expensive gear? Which brand to choose? But don’t worry, I’ll lead you through the process. 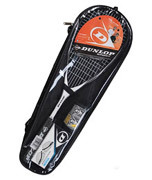 You can find racquets that are very cheap and also extremely expensive ones. It depends mostly on your budget, how much you are comfortable to spend on your gear. 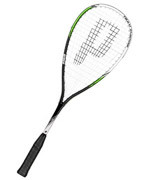 While it is certainly better to invest into high quality racquet, you should remember that it is just a tool – what matters is your skill and how you enjoy the sport. So don`t rush into the most expensive equipment if you are a beginner. 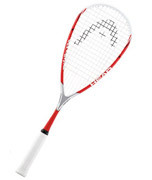 Beginner class racket will cost you from 30 to 50 bucks – if you are just trying squash out and don`t want to spend a lot of cash, go for this one. 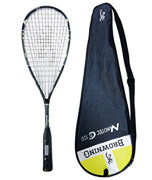 Advanced class comes in a higher price range of course – but will offer you much better performance so if you want to play squash more often, go right into some advanced gear. 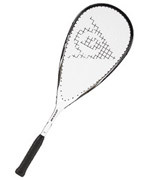 There are many attributes that affect the behavior and characteristics of the racket – the main are weight, balance, material which it is made from (graphite, titanium,…) and size and shape of the head. 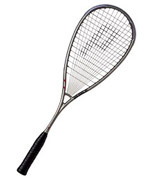 For more information please visit Squash racket specifications – how to understand them. And finally – the brand. Many players have their favorite which they stick to, others compare the sortiment of each brand closely and then decide which one has the best offer for them.